Helps to improve overall strength, balance, flexibility, gait coordination and mobility. Helps improve the resident’s management of activities of daily living, including dressing, bathing, grooming and eating. Helps improve verbal and nonverbal communication. Improves reading, writing and comprehensive skills. Also helps to improve swallow function and appropriate diet texture and consistency. Provides support for residents as they recover from a cardiac event and move towards comprehensive cardiac rehabilitation. 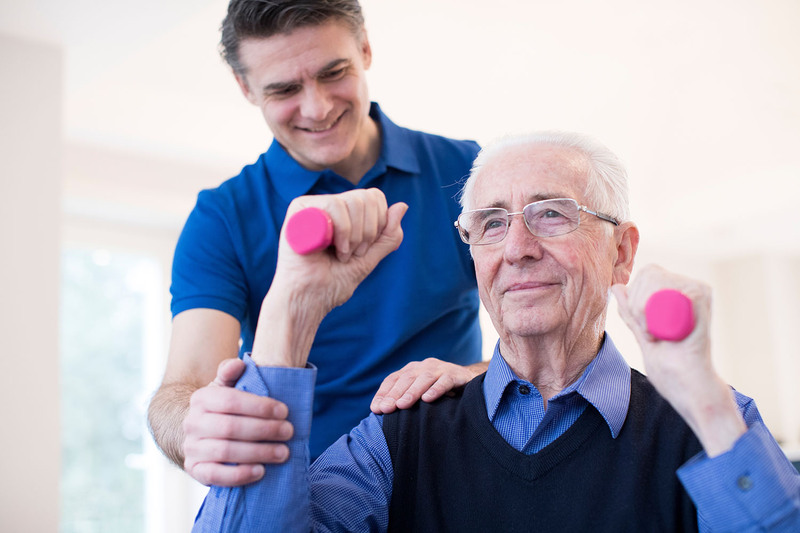 Improve the overall health, wellness and fitness levels of our residents. Helps improve respiratory status, improve shortness of breath, and improve breathing techniques and in return will improve energy level. Continuing therapy services with a familiar therapy staff after discharge to home, prevents loss of progress made while in treatment at the Center.